We focus on important non-European economic regions. We have established a committed industrial network in all partner countries. Students and graduates from double degree programs at a German university and Tongji University in Shanghai/China or Tecnólogico de Monterrey/ Mexiko. 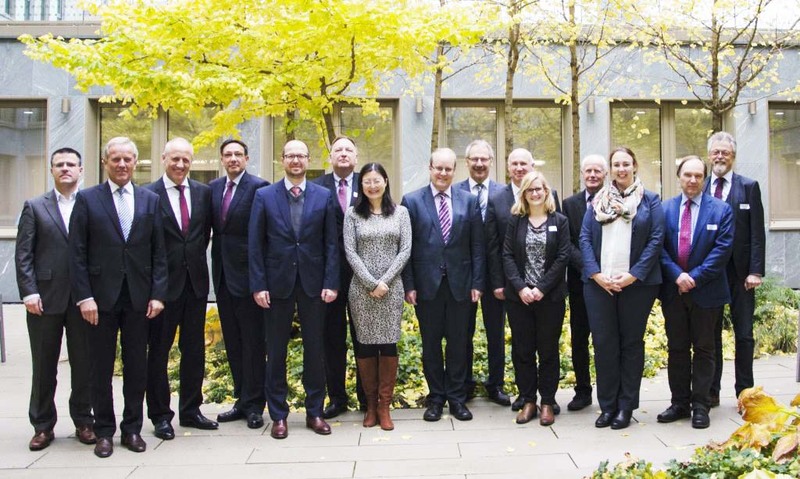 Kick-off Meeting Industrial Advisory Board and the DHIK Group of Strategy November 2017 in Berlin. the internship and the bachelor thesis in your company. Early selection of suitable candidates in your company. Recruitment of bridge builders between nations and cultures. We are looking forward to your participation in the Industrial Advisory Board of the DHIK! Partnercompanies, who are already members of the DHIK Industrial Advisory Board are: Delphi, John Deere, Freudenberg, Marquardt Service GmbH, Metalsa, Schott, Siemens, SZ Metal GmbH & Co KG, Volkswagen AG u.a.m.